Are you ready for more ladies? 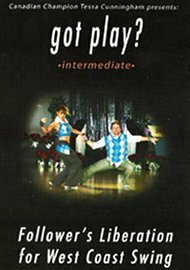 Now that you are comfortable with intermediate techniques and patterns, add some style to your dance with “got play?” for Intermediates. This video is packed with ideas for “playing”, syncopations, arm styling and variations that will elevate your dancing, and won’t disturb your partner. Tessa is known for her ability to interpret the music with her intricate movements. As a leader, I was hoping to gather more information to help followers with play. The dvd is more about body positions and very little involvement with patterns. The dvd is strictly Tessa only but she goes through different body/foot actions to demonstration of variations. 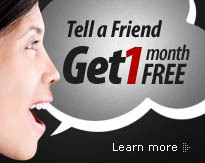 If you're looking for variety in steps or body movement this will definitively help give followers ideas. It helps explain what you might see in championship dancing but have a hard time determining exactly what the follower is doing.